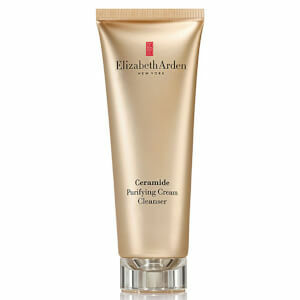 Elizabeth Arden Visible Difference Moisturising Eye Cream protects delicate skin around the eyes from dryness. Cosmetics, airborne toxins and other matter can damage skin over time. Make-up removers either leave skin so dry that it becomes flaky, or there is a heavy residue that can clog pores. This cream contains vitamin E extract and can help skin retain its moisture balance and retain a more youthful appearance. 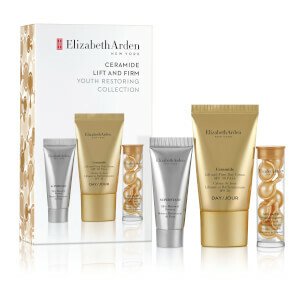 Regular use can also diminish the look of fine lines, puffiness, and circles under the eyes. In many cases, results can be seen in as little as 14 days. Use a small amount daily after washing your face for best results. Water/Aqua/Eau, Cyclopentasiloxane, Cetearyl Glucoside, Glycerin, Cetyl Ricinoleate, Cetearyl Methicone, Butylene Glycol, Squalene, Cucumis Sativus (Cucumber) Fruit Extract, Ascorbyl Glucoside, Ceramide 6 Ii, Chondrus Crispus (Carrageenan), Glycine Soja (Soybean) Extract, Melissa Officinalis Extract, Olea Europaea (Olive) Fruit Extract, Pollen Extract, Salvia Officinalis Extract, Triticum Vulgare (Wheat) Germ Extract, Chrysin, Sodium Hyaluronate, Retinyl Linoleate, Tocopheryl Acetate, Tocopheryl Linoleate, Arginine, Glycine, Lysine, Proline, Behenyl Behenate, C30-45 Olefin, Isohexadecane, Propylene Glycol, Sodium Pca, Anhydroxylitol, Butylphthalimide, Hydrolyzed Hazelnut Protein, Isopropylphthalimide, Oligopeptide-4, Oligopeptide-5, Palmitoyl Oligopeptide, Palmitoyl Tetrapeptide-7, Panthenol, Phospholipids, Xylitol, Xylitylglucoside, Acrylamide/Sodium Acryloyldimethyl Taurate Copolymer, Polysorbate 80, Steareth-20, Dimethicone/Vinyl Dimethicone Crosspolymer, Peg-8, Acrylates/C10-30 Alkyl Acrylate Crosspolymer, Polymethyl Methacrylate, Xanthan Gum, Citric Acid, Triethanolamine, Bht, Disodium Edta, N-Hydroxysuccinimide, C30-45 Alkyl Dimethicone, Cyclohexasiloxane, Benzoic Acid, Butylparaben, Ethylparaben, Isobutylparaben, Methylparaben, Phenoxyethanol, Potassium Sorbate, Propylparaben, Sodium Dehydroacetate,Sorbic Acid, Chlorhexidine Digluconate, Chlorphenesin. I have been using this for almost a year. I like the texture and the way it smooths the skin, preparing it for makeup. Never makes your eyes look puffy or irritated. before that I used clinique's all about eyes rich, but I must say that this E A cream is better. 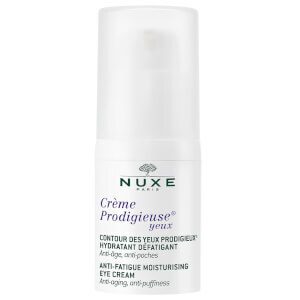 I love this eye cream! 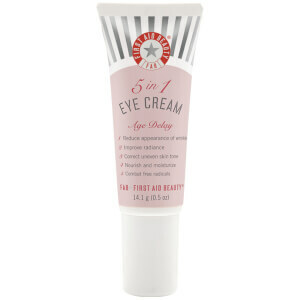 I decided to try this eye cream, based on the reviews - I haven't bought Elizabeth Arden before. I am very happy with the smooth, creamy texture, and it leaves the eye area soft and supple. You only need a tiny bit - like a grain of rice for each eye. Great!! It is the first time I have used it and my eyes are firmer and I have fewer dark circles. Excellent smell, excellent texture. You can put your make up on straight after. No greasy. Even though Elizabeth Arden Visible Difference Moisturising Eye Cream (15ml) is on the expensive side, considering the small pot I received. Nevertheless, it was a great new buy. It made the skin around the eyes rejuvenated and soft without irritating my eyes as some other eye moisturisers have done in the past.